Connecting with customers through email is an art. A good marketing email can be the key that makes the difference so that a decision to purchase by the customer can become “yes I want", so all communications that are made by this channel with customers must be perfectly studied and be executed without failure. What makes marketing emails more effective than others and achieve sales? There are several factors that influence and we have summarized them for you in a video that is published below. What is the purpose of all this? Well, it is all about conversion and according to the firm Salesforce, 4.24% of visitors come through email marketing buy something, while this figure drops to 2.49% for those who use search engines and 0.59% for those who are impacted through social networks. 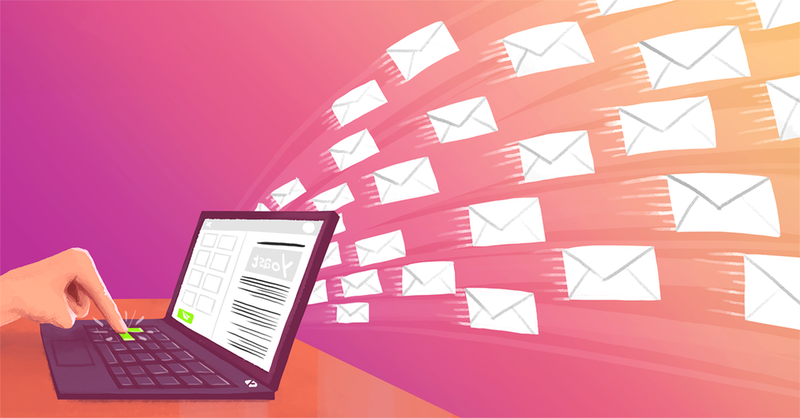 What makes a marketing email perfect? The factors that influence for a marketing email to make it perfect are varied. In the first place, the subject, it is the first element that the recipient of the mail sees. If you catch their attention at first glance, the customer will be able to open the mail and pay attention to the content. Of course, always look for consistency between the subject and the body of the message, it shouldn’t fail to meet client's expectations and without the feeling of "bluff". A personalized text should not very short or not very long and should be to the point is always a good choice to write a proposal for a successful marketing mail. The body of the message must be consistent with the issue and you must get to the point. Personalization also helps, since it makes the message closer to the client and because the position is one to one. It is important to refer to the real needs of the client and provide value, make it easy to get more information, access a promotion or what is being proposed through the appropriate information and include links that lead to getting the extra information if necessary. The images in marketing emails can be a great ally of the text, by helping messages to be interpreted better while being coherent with the image of the company and avoid sending spam, not to overload the email that waste the time of the reader. It is also important to put yourself in the client's shoes and think about how and when he will receive the message. The time of delivery is important to adjust it to optimize the rate of opening and reading the emails and the format must be adapted to different devices, since customers open emails in smartphones, tablets and computers, which have different systems resolutions and it should be a nice look and everything well readable. For these tasks, it is essential to have tracking tools for marketing emails, which will allow you to see what has happened and generate reports to learn for the following marketing information delivered by email and helps to make decisions to improve the effectiveness of email marketing campaigns.